Earn $23.99 in VIP credit (2399 points)What's This? 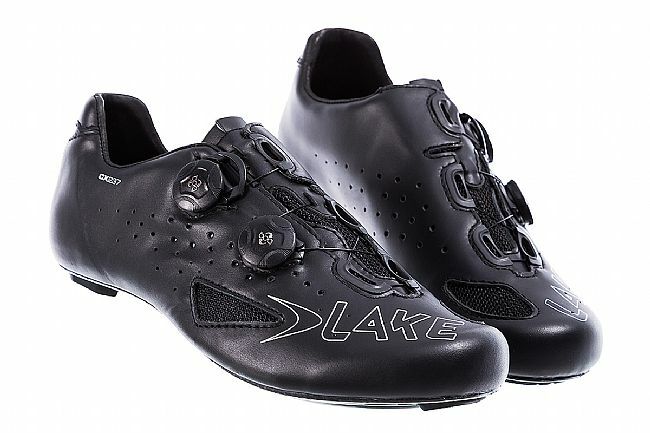 The CX 237 Road Shoe from Lake is equipped with a CX/TX Competition Last, more curved than the Sport Last, with a tighter heel, increased heel lift and toe pitch, and a little more width in the toe box, to support high cadence and high-pressure riding. 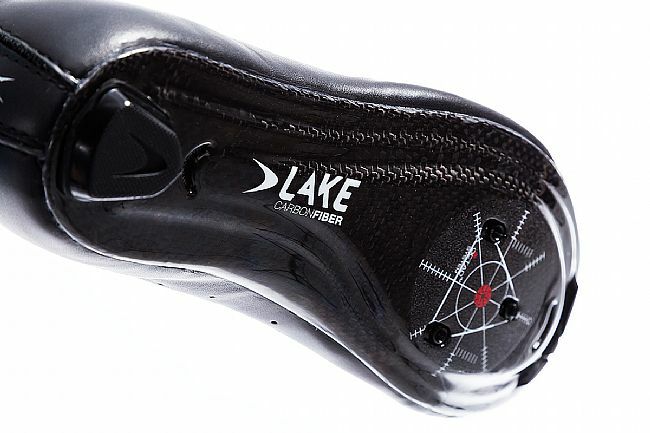 The upper is composed of full grain leather and mesh while the sole is 100% carbon fiber for optimal power transfer. For the best, most customizable fit possible, this shoe features dual side push/pull BOA L5 lacing with releasable lace guides. Equipped with 3 hole cleat pattern. 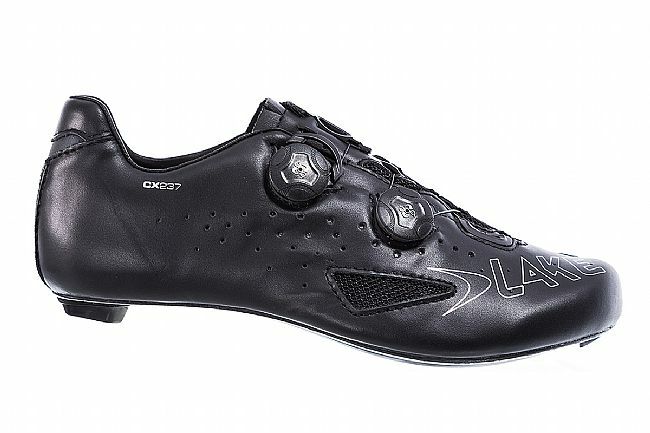 This is a terrific road shoe for those who like extra room in the forefoot for their toes and not feel constrained as in Sidi or Fizik shoes. The leather is quite supple and the last is stiff, but not uncomfortably so. The BOA system is durable and reliable, the only minor quibble is that there is no microadjustment to loosen the shoe, once disengaged, the BOA completely releases. The heel pad is now replaceable which is a good feature. These have been my favorite road shoes since the days of the old Shimano moldable in the oven shoe. 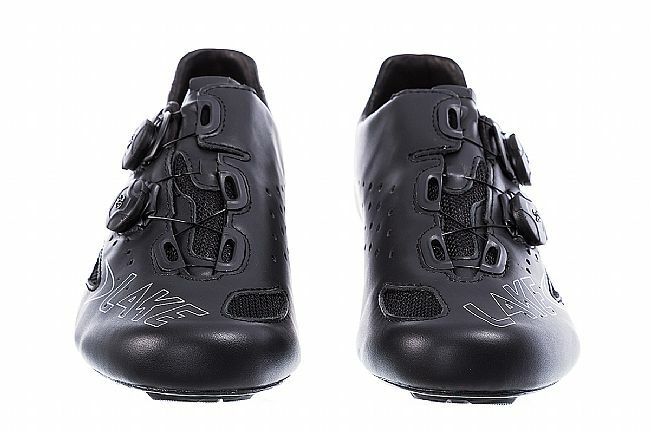 I really like this shoe because of the wider forefoot and comfort, had used the Specialized S works shoe for several years prior to this for the same reason. 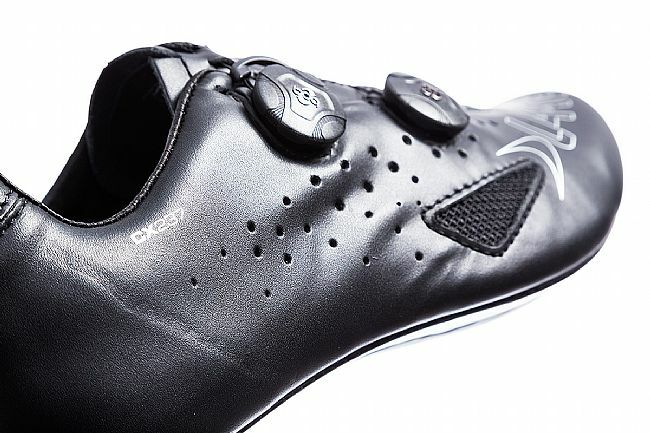 Other brands like Sidi and Giro ran quite narrow for me, while Shimano came closer to the fit I needed. 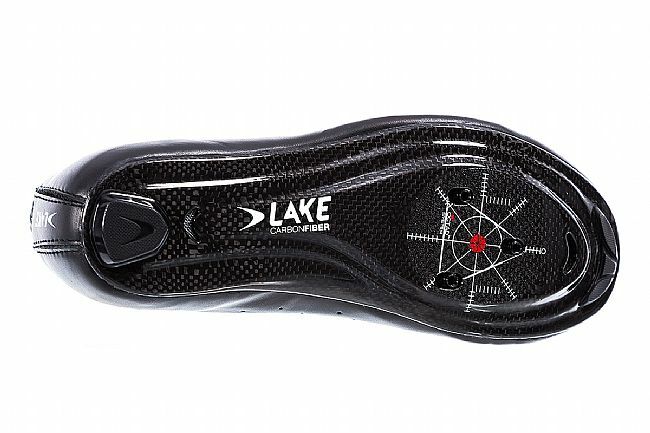 The dual boa lacing system is a cinch to use and has been flawless during my first season of 3K road miles. The sole is stiff but probably not the most ultrastiff on the market, which is okay by me. Insole is actually pretty decent with just the right amount of arch support for my flat arches. Glad this newer version of the 237 has a replaceable heel pad. 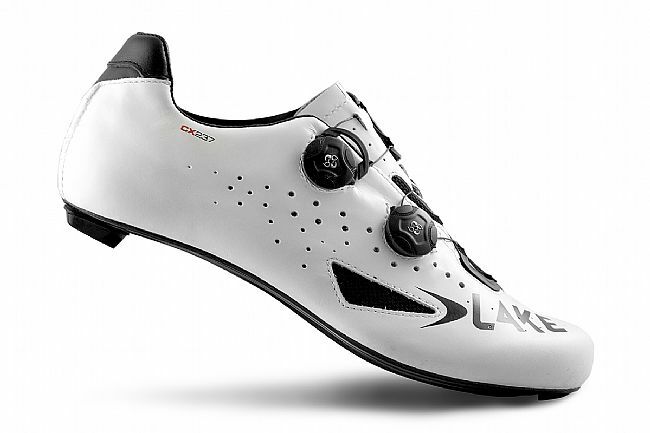 Really enjoy this shoe coupled with SPD-SL cleats on my Parlee Z5. If you have issues with shoes not being wide enough. These are the ones to get. I would highly rexommend. I've used the shoes for several weeks. Nice quality and fit, but the tongue needs to be longer and padded since the top of the inside of the shoe irritates my ankle. I have to use bandages to buffer the annoying pain. Maybe after break-in this problem goes away.